The Geek Next Door: Times Don't Change...Usually. 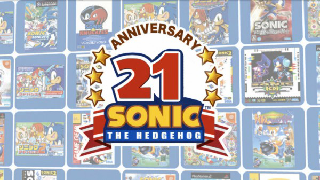 This year marks twenty one years of Sega's Sonic the Headgehog and he still looks pretty much the same. So, does Sonic have a really good surgeon? I'm inclined to say "yes". Then again, take a look at Mario, he's something like twenty six this year and look at that moustache he's rocking. Will we ever see a character who will age over time? Other than maybe Solid Snake from Metalgear Solid or maybe Altar and Ezio from the Assassins Creed series. But would anyone buy "Mario: the final years".